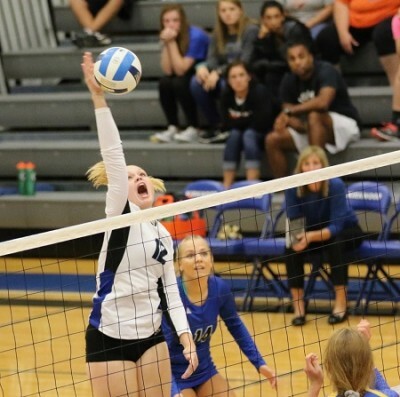 Alexa Ingram has the heart of a killer on a volleyball court, which is why she's starring for the Kirkwood Eagles now instead of playing for the Drake Bulldogs. Ingram played for the Bulldogs last season as a freshman, but the coaching staff viewed the dynamic left-hander as a setter instead of a kill-shot artist at the net. Ingram is "only" 5-foot-7, which is relatively short for a hitter in college, but she loves that part of the game and was not happy with her limited role at Drake. "I didn't really like it too much," she said Wednesday night. "I just left and was ready to take a break." 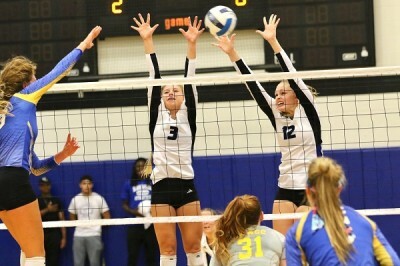 Ingram, an Iowa City High grad, left Drake after the fall semester in 2017 and transferred to the University of Iowa for the winter semester, not knowing if she'd ever play volleyball again. Then the bug hit again. "I decided I missed it," she said. "Going to school and not having anything at the end of the day, I was like 'I don't know what to do.' I like the structure of it." Ingram has found a new home at Kirkwood, where she's become a key player for the 12th-ranked Eagles. She leads Kirkwood with 142 kills and 109 digs in 11 matches and is having a blast. Ingram collected 14 kills and 10 digs Wednesday to help the Eagles top NIACC, 25-21, 25-23, 25-20, in an ICCAC conference match at Johnson Hall. "She's so dynamic. And she's just crafty with the ball," said Kirkwood Coach Jill Williams, who welcomed Ingram into the program this year with open arms. "She's an athlete. She can jump, she soars, she's got arm-whip. And yet she does it in a quiet fashion," said Williams. "She slides in on you, and if you forget about her, she makes a lot of noise." Ingram's mother, Jennifer, and Williams are both Oelwein High School grads and knew each other from home. And when Ingram decided she wanted to play volleyball again, her mother suggested they contact Williams about playing for the Eagles. Williams invited Ingram to an open gym at Kirkwood to begin the process, but Ingram did not know what to expect. "I went in my leggings," Ingram related, "and she said, 'you're going to play.' So I went and put on some athletic shorts and kind of hopped in." A week later, Ingram accepted an invitation to join the program. "I've enjoyed it a lot," she said. "I love the team and the coaches. So, it's perfect. I'm super-glad I came." It's been a perfect for both sides. "I think she's having a good time with our kids after transferring," said Williams. "I think it's a great fit for her. "I told her, 'We don't need you to come in and set, we need you to come in and hit.' I think that sparked the part of the game she loves." Drake listed Ingram at 5-foot-9 last year, but that was definitely a stretch. Kirkwood lists her at 5-foot-8, and even that is probably a slight exaggeration. "I think I'm 5-7," she said, smiling, "but I'll take 5-8." This will be Ingram's only year of eligibility at Kirkwood, but she's not worried about next year and what school she might attend. "Right now, I'm not even looking," she said. "I'm just focusing and trying to have fun with this year." Kirkwood had a choppy performance against NIACC and trailed, 7-0, in the third set, but the Eagles turned on the jets at the right times. "We decided to let it be a roller-coaster," said Williams. "And yet, when we decided to play, you could definitely see the better team." The Eagles got off to a slow start in all three sets. "We were kind of shaky at first, I think," said Ingram. "We had to get the nerves out. But we all came together and everyone did their part." Abbi Tunis contributed 13 kills and four blocks. Haleigh Durnin had 10 kills and four blocks. Maddie Huff, Lauren Keane and Sami Johnson finished with five kills. Keane rolled up 41 assists. Maddie Lavenz had eight digs and Johnson furnished six digs. Kirkwood raised its records to 9-2 overall and 1-1 in the conference. The Eagles will be hosting a tournament this Friday and Saturday with a bunch of ranked teams. NIACC fell to 6-4 overall and 1-1 in the league.